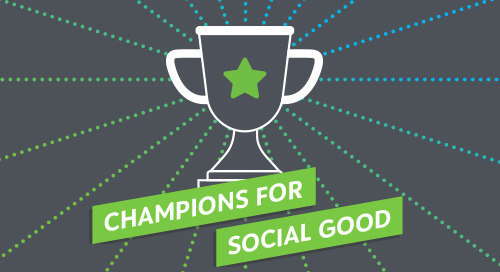 In this episode of the Champions for Social Good Podcast, Jamie Serino speaks with John Gerzema (@JohnGerzema), Chairman and CEO of BAV Consulting (@BAVConsulting), and an internationally recognized theorist on consumerism and its impact on growth, innovation and strategy. John discusses his recent research on modern leadership that surveyed 64,000 people across 18 countries, which laid the foundation for his latest book, The Athena Doctrine. John's research revealed that globally, people prefer leaders that have skills such as empathy, compassion, collaboration and influence over aggression, power and egotism - a phenomena they are calling "soft-power movement." John also discusses how corporations are responding to social change and the role they can play in contributing to social good, filling gaps that government can no longer fill through establishing the coexistence of purpose and profit.